Annually, every English school is invited to nominate up to 2 staff to receive ‘The Edmund Rice Charism Award for Leadership’ to the Edmund Rice Office. This award is to recognise an adult who has brought to life the Edmund Rice Mission and demonstrated true service to their school and / or community. (Support staff and governors are included). This cannot be someone who received the award before. Please send in nominations along with citations to Roisin Maguire. Awards will be presented at the summer garden party on 29thJune 2019. 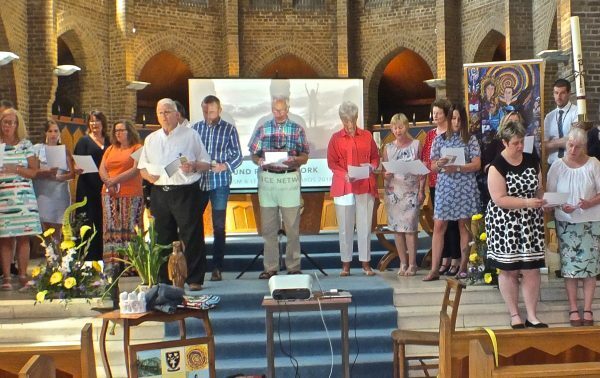 We also invite brothers and members of the wider English network to nominate those working within the ministries who they feel are true ‘Edmund’s People’ and merit this recognition. Please can we have nominations for 2019 by Friday 5th June.